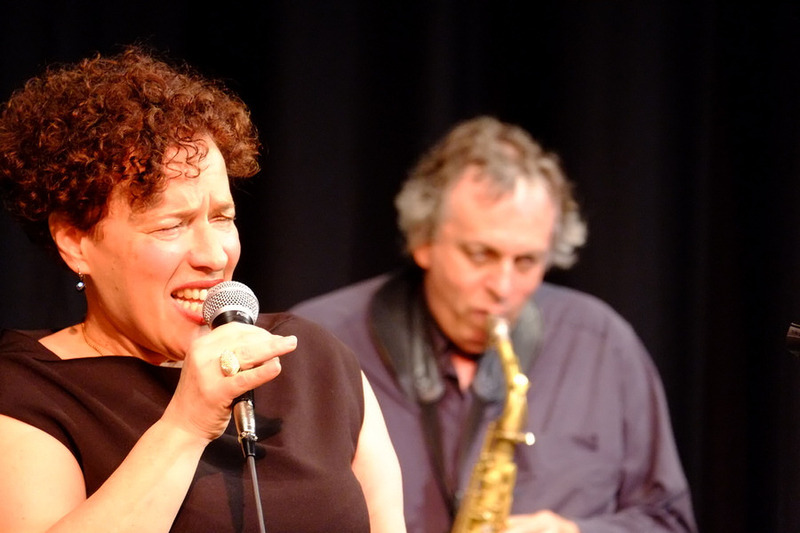 On Sunday afternoon the members of Newport Jazz Club, in a packed Apollo Theatre, were treated to beautifully sublime performance by jazz vocalist Edana Minghella. Supported by Mark Edwards on piano, Lee Goodall on alto sax and Peter Maxfield on bass Edana moved effortlessly through the Billie Holiday songbook with diversions to the songbooks of Bessie Smith, Burt Bacharach and, for her encore, Van Morrison. With immaculate phrasing and a powerful delivery Edana delivered a powerhouse performance again demonstrating that she is one of the best vocal talents on today's jazz scene. Numbers were interspersed with background narrative and before a emotionally filled version of Elvis's "Love me tender" she told how as a youngster with a guitar she played this and how moved she was when her late brother remembered this and used the number in a movie. The next concert will be on Sunday 20th May 2018 when the club plays host to The Dave Jones Quartet. Tickets are available from Gerry Cullis on 730601 or Bill Wills on 523879. overdue.